The Sun overhead, across the whole Moon! Of course this is not possible in real life, but 36 nearly complete WAC mosaics make this view possible [NASA/GSFC/Arizona State University]. 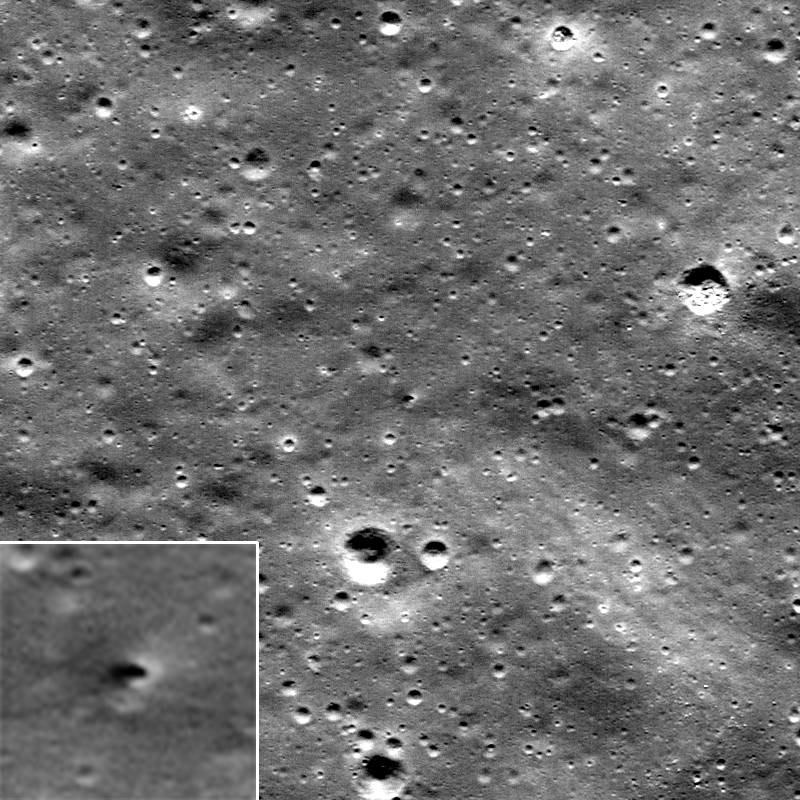 Small white blotch with black center (in center of image) is likely a new impact crater formed during the LRO mission. 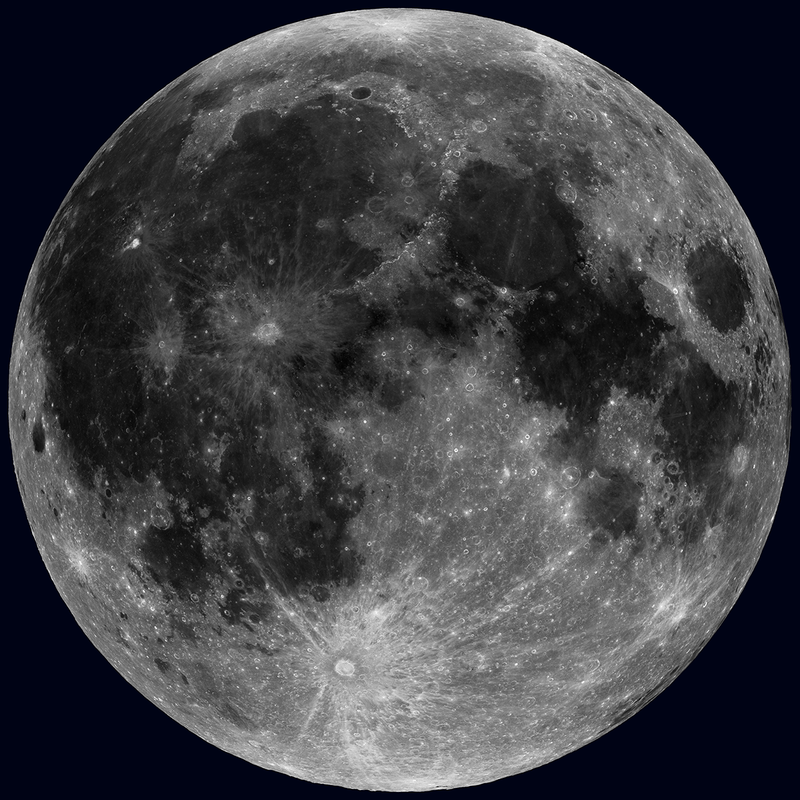 Inset in lower left (38 meters wide) shows 4x enlargement. NAC M1117799545, 480 meters wide [NASA/GSFC/Arizona State University]. 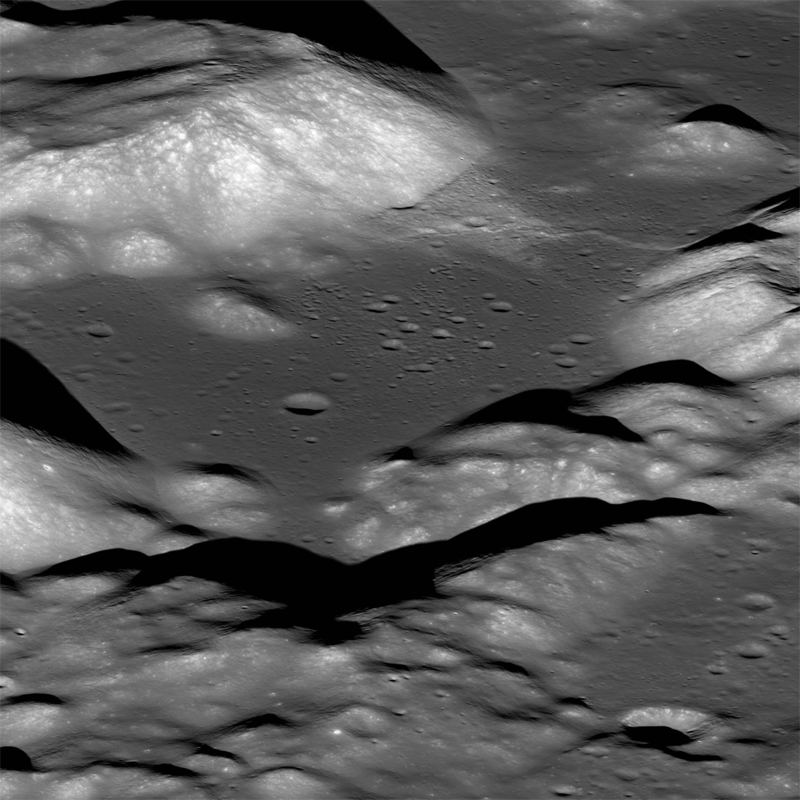 SE Aristarchus crater (40 km diameter) viewed obliquely from an altitude of 135 km, M1096850878LR [NASA/GSFC/Arizona State University]. The magnificent Taurus Littrow valley seen obliquely from west-to-east by the LROC NAC. 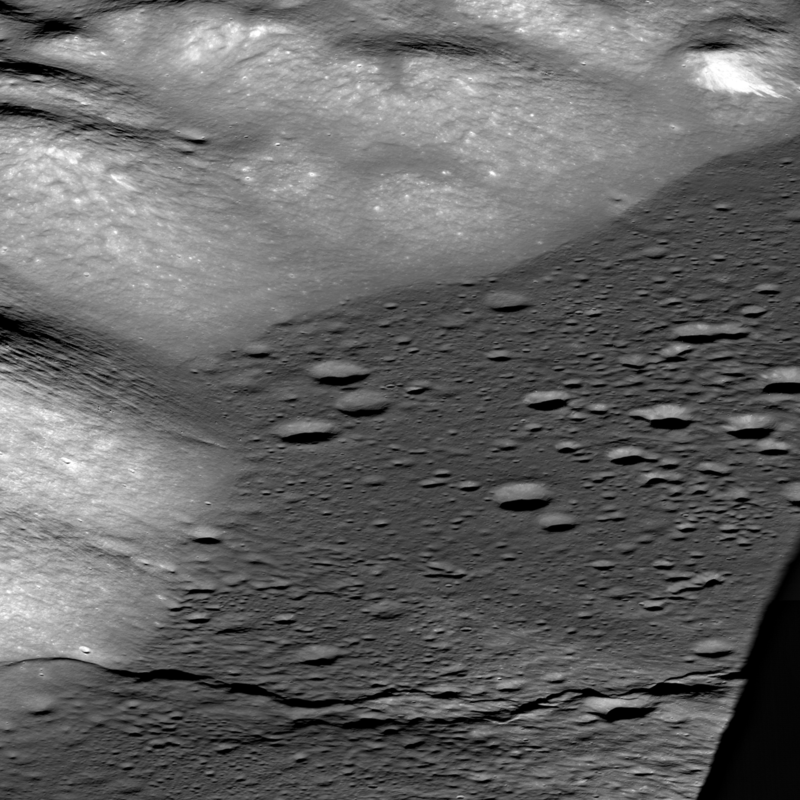 The Apollo 17 crew briefly explored portions of this valley 40 years ago this month. M1096343661LR, image ~10 km across the center [NASA/GSFC/Arizona State University]. 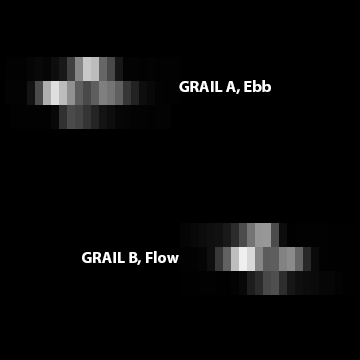 The two GRAIL spacecraft, Ebb and Flow, as imaged by the LROC NAC in lunar orbit at different times (A on 7th October, B on 8th October 2012) [NASA/GSFC/Arizona State University]. View similar to what the Apollo 17 astronauts saw as they approached their landing in the magnificent Taurus Littrow Valley. LROC NAC east-to-west oblique image pair, about 18 km wide in center, M192703697LR [NASA/GSFC/Arizona State University]. 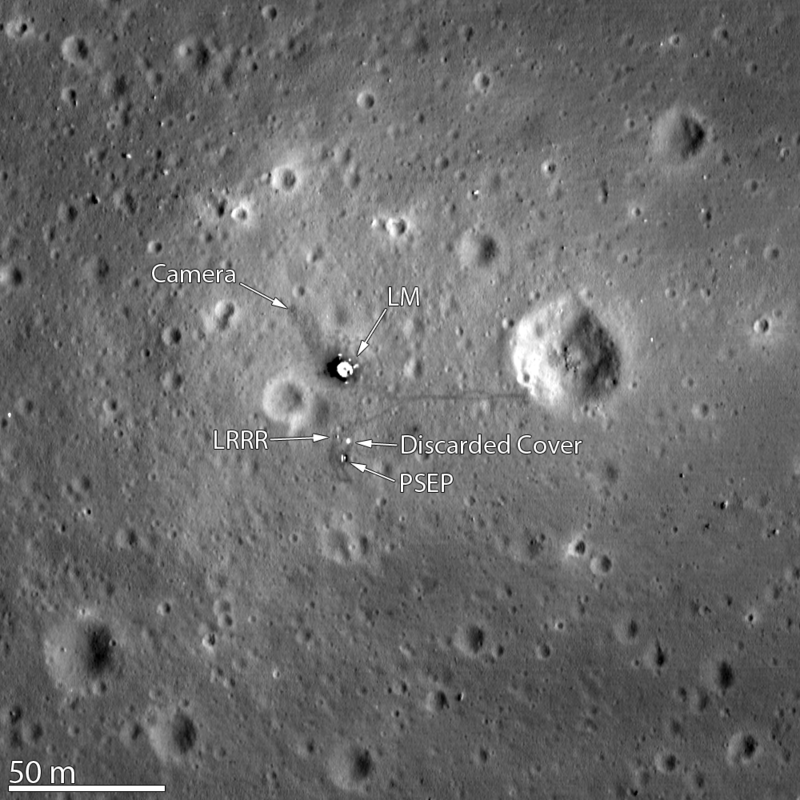 Apollo 11 landing site, as Armstrong and Aldrin left it some 43 years ago, LROC M175124932R [NASA/GSFC/Arizona State University]. 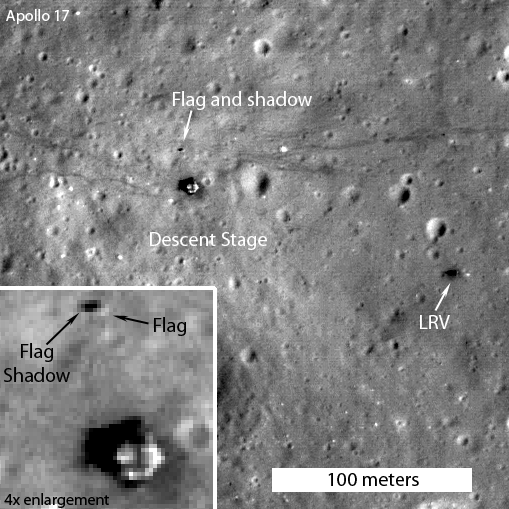 LRO slewed 19° down-Sun allowing the illuminated side of the still standing American flag to be captured at the Apollo 17 landing site. M113751661L [NASA/GSFC/Arizona State University]. A New Tool For Exploring NAC Images! New tool! 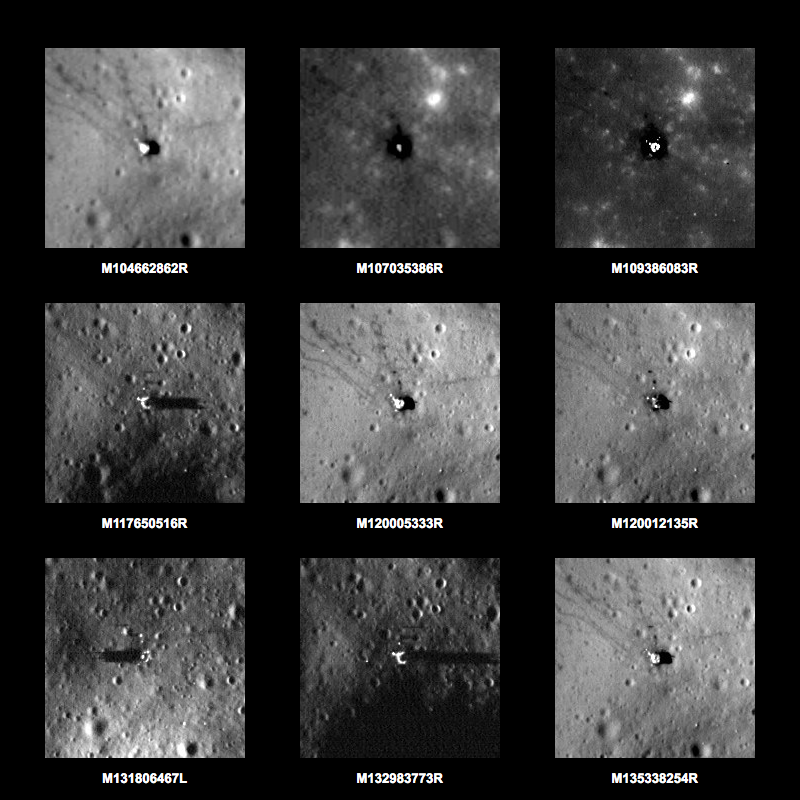 Explore the Apollo landing sites using LROC images! Nine views of the Apollo 12 landing site [NASA/ASU/Arizona State University]. 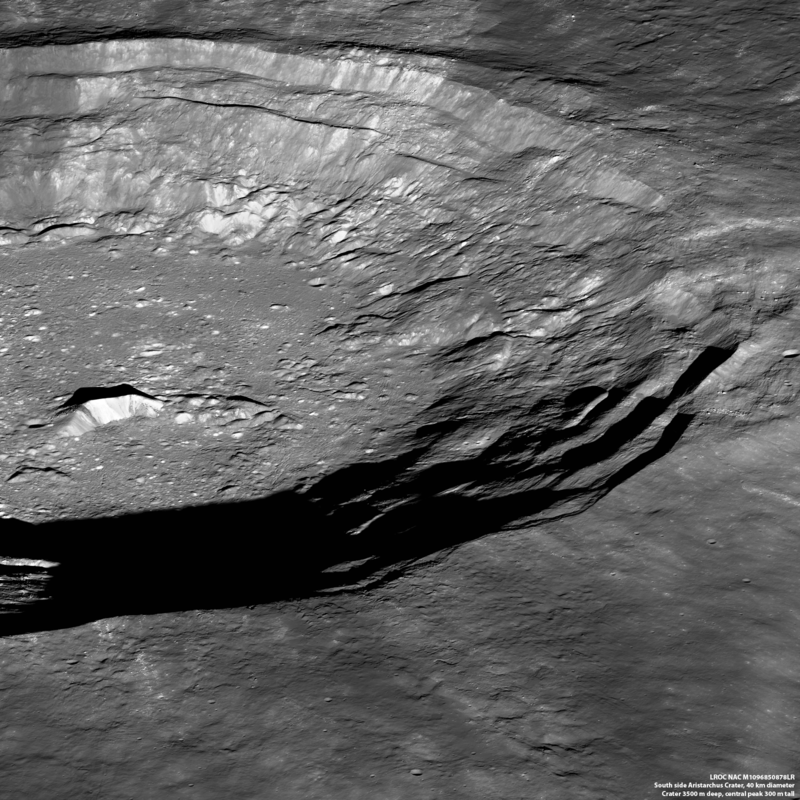 West-to-east view of Copernicus crater central peak complex. 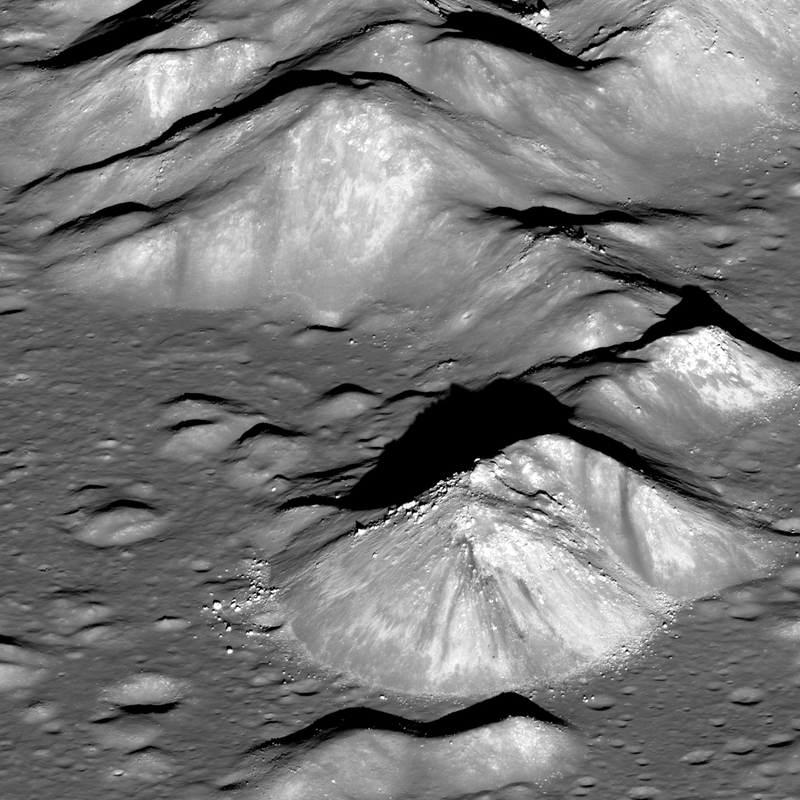 The sharp boundary at the base of the 700 meter high peak in the foreground is a now frozen sea of impact melt that flooded the floor of the crater in its final stages of formation. LROC NAC M196665381LR, image is ~8 km wide [NASA/GSFC/Arizona State University].